Eight employees were affected by an ongoing restructuring and consolidation of The Daily Record and the Rochester Business Journal, according to a statement by Suzanne Fischer-Huettner, publisher of both media companies. It's not clear what "affected" means, exactly: if the employees were laid off, offered buyouts, or something else. Fischer-Huettner did not respond to follow-up questions. It's also unclear if the employees are from one or both publications. The Daily Record Editor Ben Jacobs is now also the editor of the RBJ. And RBJ Managing Editor Mike Dickinson now fulfills the same role at The Daily Record, too. The additional duties make sense given that both publications are owned by the same company, GateHouse Media. 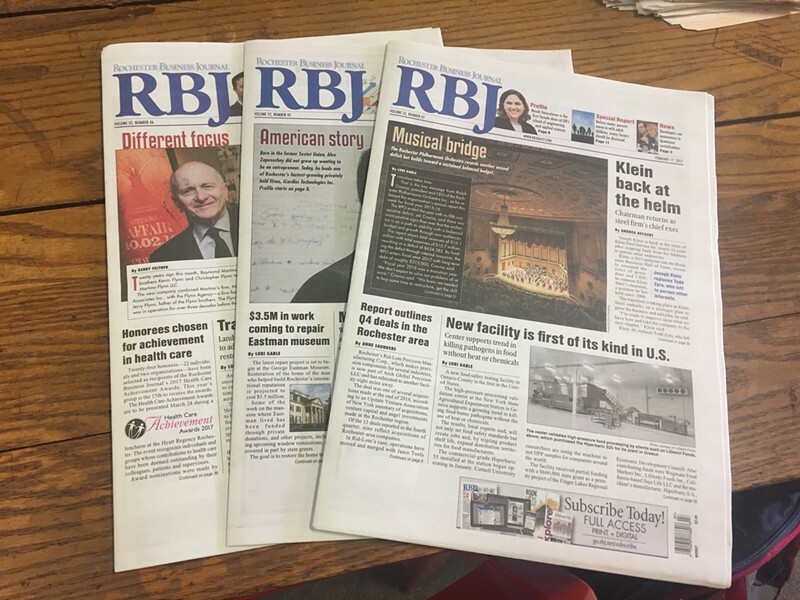 The company's acquisition of the RBJ was announced last September. GateHouse has a massive media portfolio and is known for buying properties and then enacting consolidations and outsourcing jobs, which often result in a loss of staff positions. "The restructuring will strengthen our operations without impacting over coverage," says Fischer-Huettner's statement. "We remain strongly committed to the Rochester business and legal communities and will continue to provide local, unique and essential content through The Daily Record and the Rochester Business Journal."